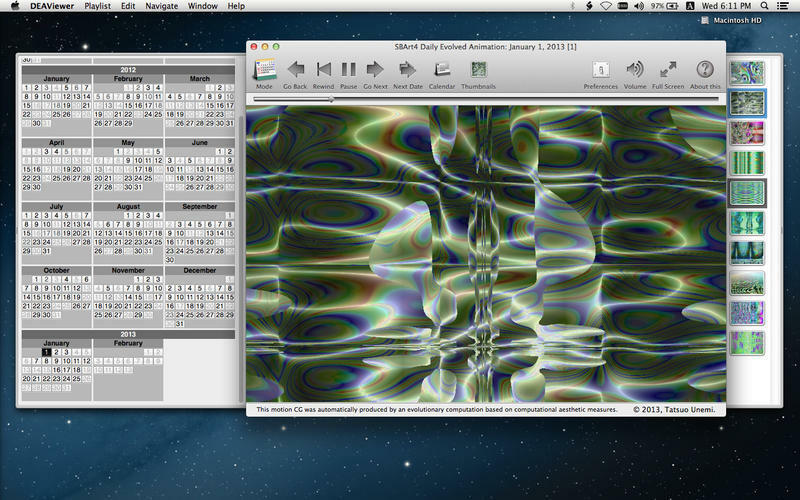 SBArt4 daily evolved animation viewer. Is there a better alternative to DEAViewer? Is DEAViewer really the best app in Arts category? Will DEAViewer work good on macOS 10.13.4? 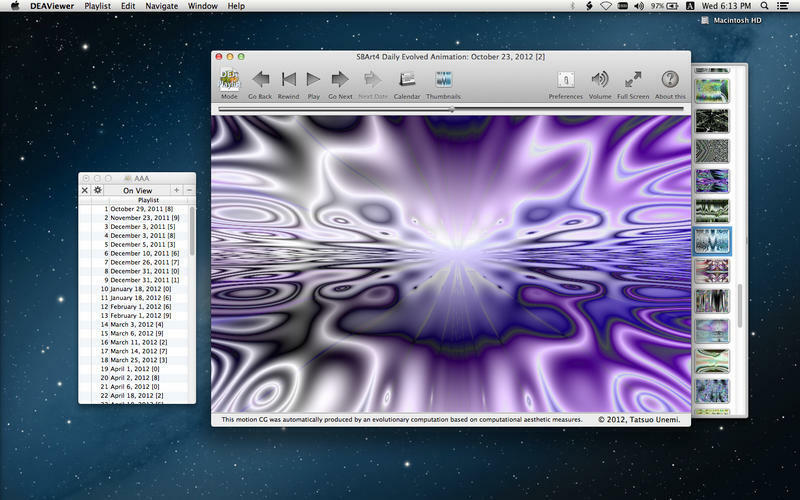 DEAViewer is an application software to view SBArt4 Daily Evolved Animation on your OS X machine, which is a fully automated production of evolutionary art organized by the author, Tatsuo Unemi. Note: Now requires OS X 10.6 or later. DEAViewer needs a review. Be the first to review this app and get the discussion started! DEAViewer needs a rating. Be the first to rate this app and get the discussion started!